Carving a special niche for ourselves in the industry, we are providing outstanding range of TMT Bars. Under the supervision of our procuring agents, these products are collected from the distinguished manufacturers. These bars have become highly valuable for varied industrial applications for their quality. To verify their quality, we conducted various tests at our end. We are engaged in trading, supplying and wholesaling of a broad range of VSP/VIZAG/RINL TMT BARS FE-500D. These products are sourced from the leading brands who manufactured these products with qualitative raw material. In order to ensure their quality, we tested these products on different parameters under the supervision of our multi-talented professionals. Keeping in mind the different requirements of the clients, we are offering these products in different sizes, shapes and grades. 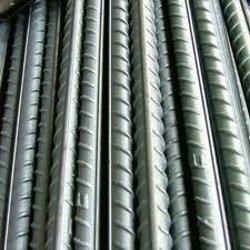 We are a dealer of Steel Bars under the brand name Rathi.